The issue of taksu is also one of honesty, for the artist and the viewer. An artist will follow his heart or instinct, and will not care what other people think. A painting that has a magic does not need to be elaborated upon, the painting alone speaks. A work of art that is difficult to describe in words has to be seen with the eyes and a heart that is open and not influenced by the name of the painter. In this honesty, there is a purity in the connection between the viewer and the viewed. As a through discussion of Balinese and Indonesian arts is beyond the scope of this catalogue, the reader is referred to the books listed in the bibliography. The following descriptions of painters styles are intended as a brief introduction to the paintings in the catalogue, which were selected using several criteria. Each is what Agung Rai considers to be an exceptional work by a particular artist, is a singular example of a given period, school or style, and contributes to a broader understanding of the development of Balinese and Indonesian paintng. The Pita Maha artist society was established in 1936 by Cokorda Gde Agung Sukawati, a royal patron of the arts in Ubud, and two European artists, the Dutch painter Rudolf Bonnet, and Walter Spies, a German. The society’s stated purpose was to support artists and craftsmen work in various media and style, who were encouraged to experiment with Western materials and theories of anatomy, and perspective. The society sought to ensure high quality works from its members, and exhibitions of the finest works were held in Indonesia and abroad. The society ceased to be active after the onset of World War II. 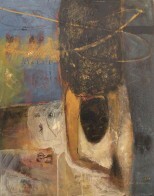 Paintings by several Pita Maha members are included in the catalogue, among them; Ida Bagus Made noted especially for his paintings of Balinese religious and mystical themes; and Anak Agung Gde Raka Turas, whose underwater seascapes have been an inspiration for many younger painters. Painters from the village of Batuan, south of Ubud, have been known since the 1930s for their dense, immensely detailed paintings of Balinese ceremonies, daily life, and increasingly, “modern” Bali. In the past the artists used tempera paints; since the introduction of Western artists materials, watercolors and acrylics have become popular. The paintings are produced by applying many thin layers of paint to a shaded ink drawing. The palette tends to be dark, and the composition crowded, with innumerable details and a somewhat flattened perspective. Batuan painters represented in the catalogue are Ida Bagus Widja, whose paintings of Balinese scenes encompass the sacred as well as the mundane; and I Wayan Bendi whose paintings of the collision of Balinese and Western cultures abound in entertaining, sharply observed vignettes. In the early 1960s,Arie Smit, a Dutch-born painter, began inviting he children of Penestanan, Ubud, to come and experiment with bright oil paints in his Ubud studio. The eventually developed the Young Artists style, distinguished by the used of brilliant colors, a graphic quality in which shadow and perspective play little part, and focus on scenes and activities from every day life in Bali. I Ketut Tagen is the only Young Artist in the catalogue; he explores new ways of rendering scenes of Balinese life while remaining grounded in the Young Artists strong sense of color and design. The painters called “academic artists” from Bali and other parts of Indonesia are, in fact, a diverse group almost all of whom share the experience of having received training at Indonesian or foreign institutes of fine arts. A number of artists who come of age before Indonesian independence was declared in 1945 never had formal instruction at art academies, but studied painting on their own. Many of them eventually become instructors at Indonesian institutions. A number of younger academic artists in the catalogue studied with the older painters whose work appears here as well. In Bali the role of the art academy is relatively minor, while in Java academic paintings is more highly developed than any indigenous or traditional styles. The academic painters have mastered Western techniques, and have studied the different modern art movements in the West; their works is often influenced by surrealism, pointillism, cubism, or abstract expressionism. Painters in Indonesia are trying to establish a clear nation of what “modern Indonesian art” is, and turn to Indonesian cultural themes for subject matter. The range of styles is extensive Among the artists are Affandi, a West Javanese whose expressionistic renderings of Balinese scenes are internationally known; Dullah, a Central Javanese recognized for his realist paintings; Nyoman Gunarsa, a Balinese who creates distinctively Balinese expressionist paintings with traditional shadow puppet motifs; Made Wianta, whose abstract pointillism sets him apart from other Indonesian painters. Since the late 1920s, Bali has attracted Western artists as short and long term residents. Most were formally trained at European academies, and their paintings reflect many Western artistic traditions. Some of these artists have played instrumental roles in the development of Balinese painting over the years, through their support and encouragement of local artist. The contributions of Rudolf Bonnet and Arie Smit have already been mentioned. Among other European artists whose particular visions of Bali continue to be admired are Willem Gerrad Hofker, whose paintings of Balinese in traditional dress are skillfully rendered studies of drapery, light and shadow; Carel Lodewijk Dake, Jr., whose moody paintings of temples capture the atmosphere of Balinese sacred spaces; and Adrien Jean Le Mayeur, known for his languid portraits of Balinese women. Art is very private matter. 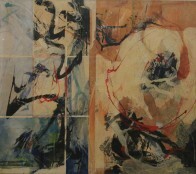 It depends on what is displayed, and the spiritual connection between the work and the person looking at it. People have their own opinions, they may or may not agree with my perceptions. He would like to encourage visitors to learn about Balinese and Indonesian art, ant to allow themselves to establish the “purity in the connection” that he describes. He hopes that his collection will de considered a resource to be actively studied, rather than simply passively appreciated, and that it will be enjoyed by artists, scholars, visitors, students, and schoolchildren from Indonesia as well as from abroad.